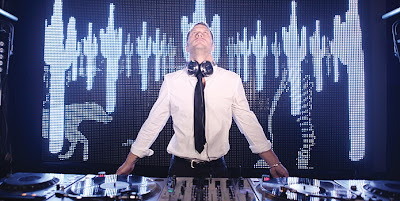 After the best Canadian films and the best performances, 2011 in Review ends with my picks for the best films of the year. I made a slight gaff, though, as I broke my own rules by including Take this Waltz as a 2011 film during my picks for Canadian films. I usually follow the rule that a film is categorized by year of theatrical/DVD release so as not to shut it off from discussion before everybody else has a chance to see it. I’m okay with allowing Sarah Polley to double-dip, though. Likewise, Jane Fonda’s comeback in Peace, Love, & Misunderstanding will be the performance against which all others are judged in 2012. (A pretty high bar, if you ask me.) 2011 was a decent year for movies, but not a great one, I think. Only three films earned a five-star rating, as opposed to the eight or so dished out for 2010; however, this may be a product of frequent criticism that I like too many films. It was a good year for movies nontheless, as five or so films were duking it out for the tenth spot, until I saw a last minute goodie. Selecting my top spot was an easy choice, though, for one film stuck with me all year. A dream for Woody Allen fans and casual moviegoers alike, Midnight in Paris brings out the best of the director’s work. As always, this film by the Woodman is another musing on love and death; however, it’s also a walkthrough of the very best aspects of his films. The neuroses, the obsequious banter, and the high-falutin’ pseudointellectuals are prime Woody staples, but they haven’t felt this fresh since Annie Hall. Starring Owen Wilson in fine form as Woody’s surrogate, Midnight in Paris is a nostalgic walk through the city of love, but it shows the dangers of living in the past, too, as Allen uses his finest achievements for new ideas, rather than to recycle old ones. Still going strong at age 76, Allen is smarter, wittier, and funnier than ever in Midnight in Paris. Another funny film, The Descendants differs from Midnight in Paris because it has viewers laughing one moment and crying the next. Director/co-writer Alexander Payne offers another insightful, delicately handled dramedy that is just as good as his previous films, Sideways and About Schmidt. Adapting the book by Kaui Hart Hemmings, Payne channels the current generation excellently, achieving the rare feat of capturing natural dialogue and uncontrived references to contemporary pop culture. The Descendants offers a rich story of generations of families who have struggled to pursue the American dream while maintaining the traditions and family ties on which their heritage is based. Anchored by an excellent performance by George Clooney, The Descendants is a perfect film. 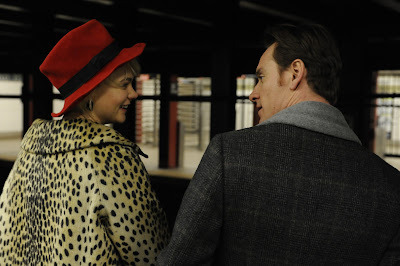 Featuring my picks for both the best lead and supporting performances of the year, Shame is a searing, powerful drama thanks primarily to the raw work by Michael Fassbender and Carey Mulligan. This brave character study by writer/director Steve McQueen and co-writer Abi Morgan explores the psychological yearnings and pains of sexual addiction. Through dazzling long takes and precise direction, Shame uses Fassbender’s powerhouse performance to convey the complexities of addiction, but without judging those with Brandon’s craving. 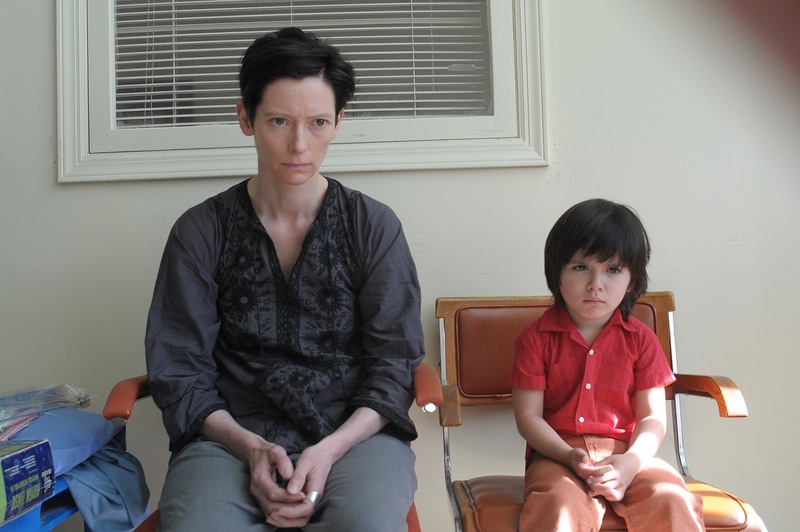 A lesson in adaptation, Lynne Ramsay brings the dense prose of Lionel Shriver’s novel to the screen with an urgent voice. We Need to Talk About Kevin uses minimal dialogue, but this tragic story of a mother (Tilda Swinton) reconciling her guilt after her son (Ezra Miller) commits a school shooting employs Ramsay’s distinct visual style, and conveys the power of Shriver’s best-seller by creating a unique language through shooting and editing. It’s amazing how Ramsay makes such an unsettling tale so accessible. 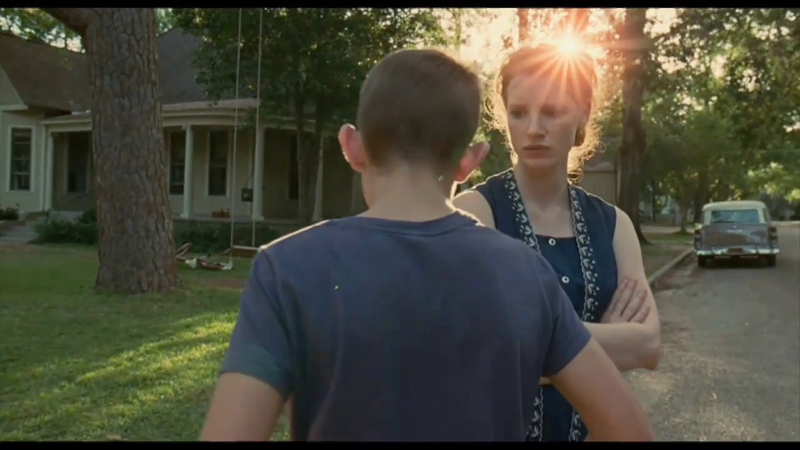 Arguably the most original film of the year, The Tree of Life is a beautiful, lyrical study of creation from director Terrence Malick. It features Brad Pitt, Sean Penn, and “It Girl of 2011” Jessica Chastain, but the real star of the film is Malick’s poetic if not philosophical vision. The Tree of Life features some of the best cinematography ever put on screen (by Emmaunel Lubezki), so watching the film in the high definition of Bu-ray is the closest thing to a religious experience that cinephiles will have all year. It pained me to drop The Whistleblower from my thesis, so I’m glad to have put in a good word for this film at the year’s end. The only film to make all three of my top ten lists, The Whistleblower is a powerful and hard-hitting exposé. 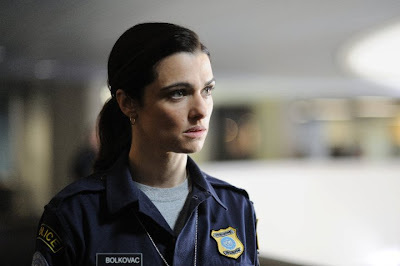 Led by Rachel Weisz in top form and featuring a strong supporting cast of Vanessa Redgrave, David Strathairn, and Monica Bellucci, this Canadian-German co-production, directed by newcomer Larysa Kondracki, is exactly the kind of engaging, socially relevant filmmaking to which more artists should aspire. Boasting the most impressive ensemble cast of this year is The Help. One could easily fill an Oscar ballot in the Best Supporting Actress category with credits from The Help and still omit some worthy names (a problem I encountered last post). Each actress is perfectly cast, especially Viola Davis in the plum role of Aibileen. The rich characterizations are but one way that fans of the beloved novel can appreciate this adaptation. The Help actually outdoes its source, in my opinion, with how much it privileges the voice of the African American maids in this tale set in 1960’s Mississippi. It’s not Do the Right Thing, but The Help is an important step for onscreen portrayals of race in America. Café de Flore is an expertly made puzzle. The craftwork is superb and complements the dexterously plotted screenplay by writer/director Jean Marc Vallée. The film is mind-boggling in its intricate cross-generational soul mate saga, and stirring in its account of enduring love. Set to a hypnotic score, in which Vallée skilfully invests keys to decoding the complex narrative, the music of Café de Flore makes the film instantly accessible and twice as involving. I cannot wait to piece this film together again. Gimme Shelter! While 2011’s Melancholia provides the most beautiful rendering of the end of days, Take Shelter offers the most intriguing and thrilling one. Michael Shannon gives one hell of a performance as Curtis, a paranoid and/or schizophrenic man who is plagued by apocalyptic apparitions. Shannon and writer/director Jeff Nichols do a phenomenal job of challenging the viewer to decide whether Curtis’s visions are real or merely manifestations of madness. Jessica Chastain – in her third film on the list (The Help was the second) – nicely offsets Shannon’s attractively weird performance with a calm, pragmatic one. Nichols scores highest, though, by ending Take Shelter with the year’s strongest, most intriguing finale. Another of 2011’s great adaptations, the acclaimed spy novel by John le Carré is impressively condensed and retooled by screenwriters Bridget O’Conner and Peter Straughan. Director Tomas Alfredson (Let the Right One In) unfurls this complicated mystery in a steely coldness befitting to le Carré’s tone. An excellent spy thriller, Tinker Tailor is onscreen espionage at its best. Gary Oldman gives one of his best performances as George Smiley, a British agent who comes out of retirement to ferret out a mole in his agency. 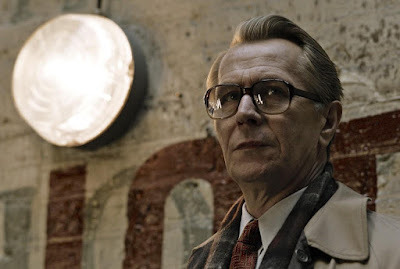 In addition to Oldman, Tinker Tailor offers the powerhouse ensemble of Colin Firth, Tom Hardy, John Hurt, and Benedict Cumberbatch, just to name a few. A densely plotted, flawlessly made film. I should note that I have not yet seen some of the year's other big films, such as A Separation, A Dangerous Method, Extremely Loud and Incredibly Close or The Iron Lady. What are your picks for the year's best?